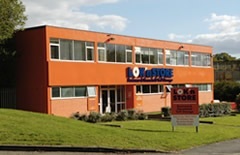 Lok'nStore has self storage centres in other locations, the closest being Farnborough or Reading. Our facility is on Crockford Lane, Chineham Park, just off the A33 Basingstoke to Reading road. Access from the Andover area is via the B3400, or from Newbury follow the A339. The nearest motorway access is from junction 6 of the M3 – follow the A339 then A33 until you see our orange building on your right hand side.